When we shared the story of Mr. Ramirez’s very special wish on our Facebook page, it reached nearly 400,000 people. Later, we made this simple video to use as part of our 2016 Bucket-List Challenge. Special thanks to his family, and especially his granddaughter, Blue, for sharing their memories and photos with us, and with you. Charlie Conner and his wife Sue spent the winter at their Florida home for 17 years. He loved the warm weather, dancing with his love of 52 years, and listening to her sing. But when Charlie was diagnosed with cancer, everything changed. Winters in Florida seemed impossible. Instead, they stayed closer to home, where Sue took wonderful care of him. She didn’t leave Charlie’s side for four years. Charlie with Sue, the love of his life. Florida. It wouldn’t be an easy trip, and it would take a lot of planning, but Charlie wanted to see Sue dance and sing in the Florida sun again, so they made the arrangements. In November, they returned to their Florida home and were able to stay until April. Not long after returning to Kentucky, Charlie’s physician suggested they look into hospice care. He was admitted to Hospice Care Plus and his hospice team began to care for him. They quickly learned that he had another wish. He and Sue had always attended both of their family reunions in the summers. Charlie wanted to attend one more reunion. As the July reunion drew near, Charlie’s condition worsened again. Knowing how important it was to him to make it to the reunion, the hospice team worked diligently to bring pain and symptoms under control, making frequent visits, adjusting medications, and collaborating with his physicians. When the big day approached, Charlie felt well enough to go. He wasn’t able to stay the entire day, but he did get to make that last trip to see his family. A month later, Charlie passed away. That’s when Sue told us that he had one more wish, and this one only Sue could help him with. Sue was the love of Charlie’s life. Throughout his illness, he worked hard to prepare her for his leaving. His final wish to Sue was that she go on living. Sue and Charlie surrounded by all the littles ones they love. “He told me, ‘you love to dance and you love to sing. When I’m gone, you go on living. Find someone to dance with and keep on singing,’” remembers Sue. 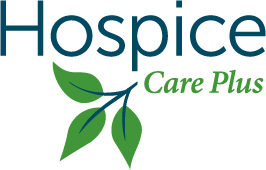 Hospice’s bereavement program stayed in touch with Sue to offer support. They were delighted to learn that Sue would, in fact, honor Charlie’s last wish. It’s not surprising many hospice patients turn their thoughts to family, family traditions, and even childhood. Mr. Ramirez looks over old photos after his special meal. his mother used to make. Giving a big thumbs-up after eating nearly every bite. Mr. Ramirez never asked the team to find him these tamales, of course. He just told us stories about trying to locate them. But the team, always reading between the lines for ways to make quality of life better, wanted to help. Jackie, Jodi, Sally and the entire team went to work. They heard of a Mexico native now living in Berea, Ky., who could make the authentic tamale meal Mr. Ramirez craved so deeply. Her English was very limited, so a staff member’s friend volunteered to translate. Once the translator explained the situation, she agreed to shop for the ingredients and make a meal—enough for four people—so Mr. Ramirez could share it with others. The team all pitched in to fund the ingredients, gave the funds to the volunteer, and the meal was prepared. As soon as it was ready, the team loaded the food into their cars and drove it to his home in Booneville, just over an hour away. The team spread the feast out onto the kitchen table and made a plate for Mr. Ramirez. Everything was lovingly made from scratch: the colorful guacamole; the rich, black refried beans; true Mexican rice boiled in tomato juice; and, of course, the pork-filled tamales wrapped in corn husks. A young Mr. Ramirez during his years of military service. probably wasn’t hungry. It went slowly at first—we asked if we could take a picture of him with his full plate, even if he didn’t want to eat just yet. He agreed. But, gradually, as the team filled their plates and sampled the wonderful food, Mr. Ramirez began to eat, too. He was so quiet as he did so, as if he wanted to carefully consider every bite. He barely said a word until the last bit of food was gone from his plate. Then the magic happened. The familiar tastes and smells of his childhood brought back his loved ones—mother, father, brothers and sisters—and his memories. He spoke of watching his mother when she made tamales, more than 50 years ago. He described the sights and sounds as she ground the spices in a lava-rock bowl, or steamed the husks over a bucket full of boiling water. His wife brought photo albums to the table, and he told us more stories from his youth. The team had been right. It wasn’t possible for Mr. Ramirez to physically get to Texas at this point in his life. Nor, of course, could he see his mother or father—both long gone. But he could get there and be able to be with them again through his senses—taste, smell, feel. And that was exactly what he needed to do….one more time.